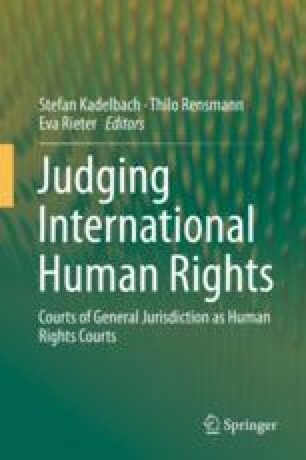 For the purposes of Part 2 of the present report, the ILA International Human Rights Law Committee (IHRL) sought to examine the legal framework of compliance with international judgments and decisions involving human rights around the world in order to study how the courts of a representative set of countries dealt with obligations resulting from decisions of judicial or quasi-judicial international human rights bodies, the impact of human rights jurisprudence, and the possible trends and parallels in their methods of implementation. As a consequence, the Committee sought to identify Guidelines regarding the nature of the obligations assumed by a state party to an international human rights treaty or vis-à-vis a judgment from a human rights body or an international body that involves human rights. The Guidelines are annexed to the Resolution adopted on August 11, 2016.